Superior Posterior Workout: Posterior Chain Training! 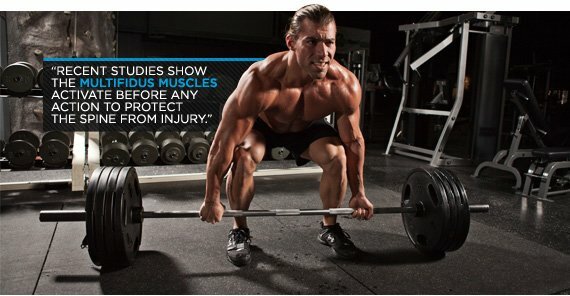 Don’t be the guy with stick legs training only the mirror muscles. Get serious about fitness and train your posterior chain! It's the muscles you can't see that make an athlete - the big, burly, powerful back muscles that form the posterior chain. Posterior chain strength is of paramount importance for any athlete or fitness fan, but many neglect the p-chain to focus on quad-dominant, anterior chain exercises. It's clear why a rift exists between the two chains: Most guys want bigger biceps, and most ladies like killer quads. In recent years, however, the posterior chain has come to the anterior of many fitness, physique, and performance conversations. People now realize that a strong p-chain makes a strong athlete. Both guys and gals understand the glorious value of shapely glutes. In addition to awesome mirror muscles, everybody now wants the fabled "superior posterior." I'll help you boost your own backside and build your seat of athletic power - the posterior chain! Many a man has wondered which muscles comprise the fabled "superior posterior." While definitions differ, hip extension is typically seen as a primary function of the p-chain. One of the smallest yet most powerful complexes designated for spine support, the multifidus is a series of muscles attached to the spinal column that takes pressure off the vertebral discs so our body weight can be distributed along the spine. Superficial - keeps the spine straight. Deep - contributes significantly to spine stability. These two groups of multifidus muscles are recruited during many daily actions, including bending backward, sideways, and even turning to the side. Recent studies show the multifidus muscles activate before any action to protect the spine from injury. The erector spinae extends the spine to create an arched back capable of handling heavy loads. Problems with any of these muscles can cause hip or ribcage displacement. Spinalis - sits medially right next to the spine. Longissimus - the meat of the group. Iliocostalis - the main attachment to the illium and ribs. Comprised of three muscles, the gluteal muscles make up the buttocks. The gluteal muscles function as a connected group and play a major role in hip abduction and adduction, hip extension and flexion, and internal/external hip rotation. Gluteus Maximus: external hip rotation, hip extension, hip adduction and transverse hip abduction. Gluteus Medius: hip abduction, internal/external hip rotation and transverse hip abduction. Gluteus Minimus: hip abduction, internal hip rotation and transverse hip abduction. Originating underneath the gluteus maximus on the pelvic bone, the hamstrings attach to the tibia and are made up of primarily fast-twitch fibers. The common thought is that hamstrings are responsible for knee flexion, but during movement the hamstrings serve to decelerate the lower leg in a sagittal plane. Biceps Femoris: both the long and short head perform knee flexion. Semitendinosus: helps extend the hip joint and bend the knee joint. Semimembranosus: helps extend the hip joint, bend the knee joint and medially rotate the knee. 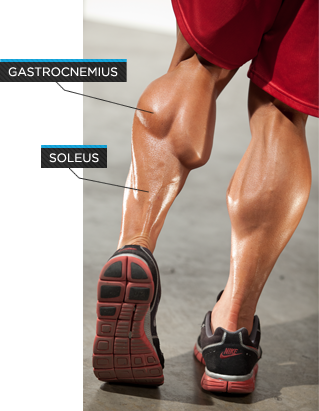 Gastrocnemius: elevates the heel. It's viewed as an important contributor at the knee joint as a joint flexor and stabilizer across all knee and ankle joints. It has two heads: the medial and the lateral. When fully developed, these two heads appear to form a diamond shape. Soleus: serves to raise the heel, but works when the knee is bent. The soleus is not visible when looking at the body from the outside; it lies under the gastrocnemius on the rear of the lower leg. Located on each side of the rectus abdominis, the muscle fibers of the external obliques run diagonally downward and inward from the lower ribs to the pelvis. The posterior and anterior chains are intimately connected - they're "chained" together, you might say. In the average workout today, the posterior chain usually takes a backseat to popular anterior movements. Anterior exercises deserve attention, but the two chains need to be balanced. When the quads get too much love, they leave the glutes and hams to fend for themselves. This is unfortunate, because the glutes and hams have far more fast-twitch muscle fibers than the quads, making them more powerful and explosive for running, jumping, throwing, etc. The posterior and anterior chains are like a married couple -- they work together to create balance, stability, strength and power. They function best when both parties put in the same amount of work. It's a 2-way street! Most athletes need to focus on p-chain training to level the playing field and save their "chain marriage." A strong p-chain makes you a strong person. With weak or inhibited glutes, you won't be able to run as fast, or jump as high, resulting in lower back and hamstring problems. The best way to explain the marriage between the two chains is to look at jumping. The anterior chain's role in jumping is the opposite of the posterior. As you descend into the negative portion of a jump, the quads lengthen in an antagonistic fashion to the hamstrings. After lengthening, the quads are required to reverse that downward motion and powerfully contract to extend the knees and hips and drive the jump. The abs contribute by contracting in the downward portion of the jump and lengthening in the upward phase. Powerful abs improve the negative or downward part of the jump. This workout is designed for those with training experience who need to boost their posterior strength. It's a 4-day split with some light conditioning. There's no bulking phase or cutting regimen involved -- just hard work and a focus on weak spots. If you want to add dedicated cardio, enjoy some active rest on your "off" days. Start slow, perform the workouts with a focus on impeccable form, and slowly add weight. By following these principles, you'll avoid injury and notice strength and size gains in most areas of your body. These movements may seem really technical at first, so use an unloaded bar to learn the moves. Do this warm-up at the beginning of each day to avoid injury.